Dangeil was a religious and political centre in the ancient Kingdom of Meroe, lying close to the Nile on the southern border of the Roman Empire, in what is now central Sudan. Excavations conducted since 2000, under the auspices of the Sudanese National Corporation for Antiquities and Museums, have uncovered a large, previously unknown temple of the god Amun, with brick walls and fine decorated stone wall-panels. The temple was dedicated by Amanitore and Natakamani, Nubian rulers of the 1st century AD. Earlier rulers represented in a hoard of statues found on site include the celebrated Pharaoh Taharqo. This is one of many discoveries at Dangeil that are throwing unexpected light on African history from antiquity into the medieval Christian period and later. The exceptionally fine condition of the temple has presented many conservation challenges, and a robust programme of conservation and site presentation is underway. As the history and antiquities of the region are becoming appreciated both by the local community and also as monuments of national importance, the creation of a new museum in a historic colonial building in the nearby town of Berber has been initiated. Dr Julie Anderson is responsible for curating the Sudanese and Nubian collections of the British Museum. 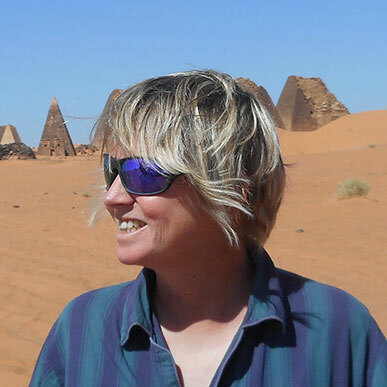 Excavating at numerous sites in Egypt and Sudan since 1987, her research interests include daily life and material culture in the Nile valley and surrounding deserts. Since 1997, she has co-directed archaeological excavations in Sudan together with the National Corporation for Antiquities and Museums (NCAM) in the Berber-Abidiya region. Her current fieldwork is concentrated upon the late Kushite site of Dangeil (3rd century BC – 4th century AD), situated approximately 350km north of Khartoum, where excavation of a large Amun temple, surrounding temenos enclosure and associated cemetery is underway. Currently, she is the Honorary Secretary for the International Society for Nubian Studies. 2017: Anderson, J. and Abdelrahman Ali Mohamed Rahma. Highlights from the Sudan National Museum. Sennar Books 34. Sennar, Capital of Islamic Culture. Khartoum. 2014: Anderson, J. R. and D. A. Welsby (eds), The Fourth Cataract and Beyond. Proceedings of the 12th International Conference for Nubian Studies. 1-6 August 2010, London. British Museum Publications on Egypt and the Sudan 1. Leuven. 2004: Anderson, J. and D.A. Welsby (eds). Sudan, Ancient Treasures. London. Anderson, J. R. and Salah Mohamed Ahmed. 2013. ‘Dangeil 2012: Sacred Ram – Avatar of the God Amun’, Sudan & Nubia 17, 70–77. J. Anderson, A. C. D’Andrea, A. Logan and Salah Mohamed Ahmed. ‘Bread Moulds from the Amun Temple at Dangeil – An Addendum’, Sudan & Nubia 11, (2007), 89–93. J. Anderson and Salah Mohamed Ahmed. ‘Painted Plaster: A Glimpse into the Decorative Programme Used in the Amun Temple at Dangeil, Sudan,’ Studies in Honour of Nicholas Millet (Part II). Journal of the Society for the Study of Egyptian Antiquities 32, (2006), 1–15. J. Anderson. ‘Lost for a millennia: A new ancient Nubian city,’ Archaeology Odyssey 5/1, (2002), 16. J. Anderson. 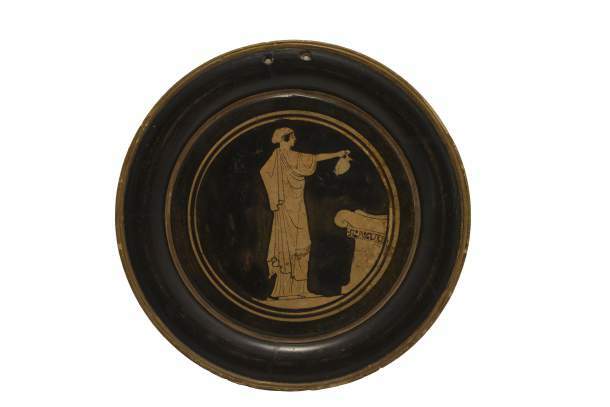 ‘Sudan Ancient Treasures: Engage the World’, Ilissia 4, (2009), 20–25. J. Anderson, ‘Death, the great equalizer: Christianity on the Middle Nile’, 8 August 2014, British Museum website. J. Anderson. ‘Furniture of the Old Kingdom’, in Egyptian art in the age of the pyramids. C. Ziegler (ed.). Réunion des musée nationaux and the Metropolitan Museum of Art, (Paris and New York, 1999), 117–119.